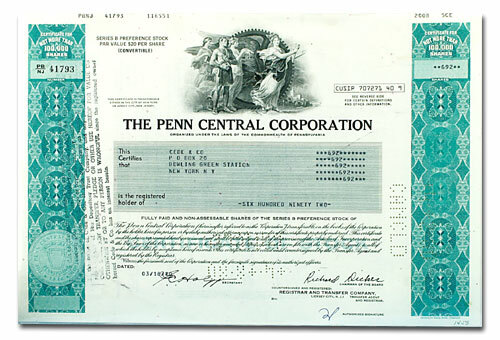 After the Conrail takeover, Penn Central continued to exist, now called the Penn Central Corporation. Here is one of their later stocks--this one is dated 1980. 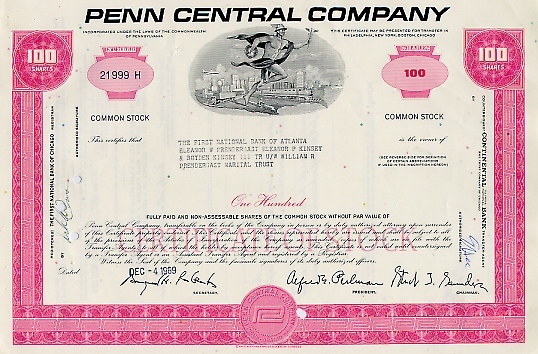 By the way, Penn Central stock certificates are worthless today, other than possibly to collectors of old stocks. 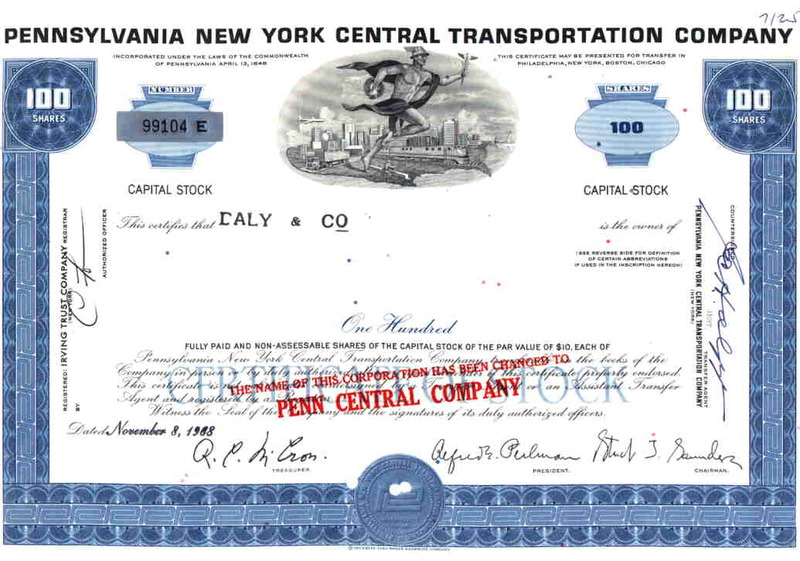 If you have old PC stock certificates and want to get any money for them, try selling them on eBay.